This blog lays out the data so you can make your own judgment. China is the world’s second largest economy with a GDP of $7.5 trillion, and an average 9.71% annual GDP growth (since 1990). 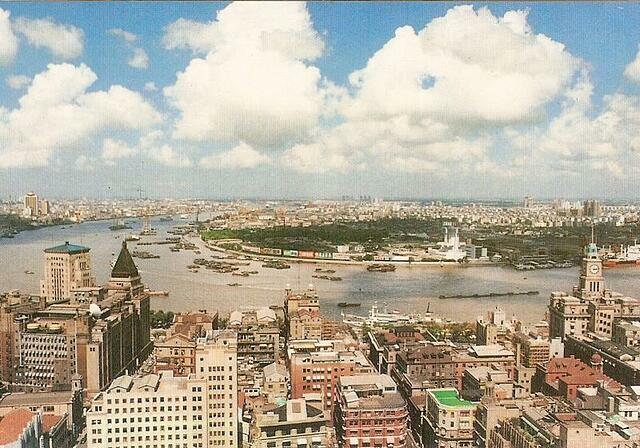 Check out Shanghai in 1990 (27 years ago) versus Shanghai today. Recently, China is getting into the venture capital business in a big way. A really, really big way. Venture capital raised in China tripled year over year to $250+ billion in 2016. That’s the biggest pot of money for startups in the world. Consequently, China is undergoing a technological renaissance with thousands of startups and dozens of multibillion-dollar tech companies springing up. A Chinese delivery company, ZTO Express, raised $1.4 billion in its public debut. This was the biggest U.S. IPO of the year (in 2016). China is a manufacturing powerhouse producing 25% of the world goods and 70% of its mobile phones. Today there is a waiting list of 600+ Chinese companies waiting to go public. Let’s talk about manufacturing. 100 million people in China work in manufacturing. FOXCONN is the world’s largest contract electronics manufacturer. Notable customers include Apple, Kindle, Playstation and Xbox. In 2015, China became the world’s largest producer of photovoltaic power. China also led the world in production and use of wind power and smart grid technologies. China owns 70% of the commercial drone market. China has also increased their space budget considerably over the last few years. And their human spaceflight programs is very serious. China has truly become an international technology superpower.